Hey guys! 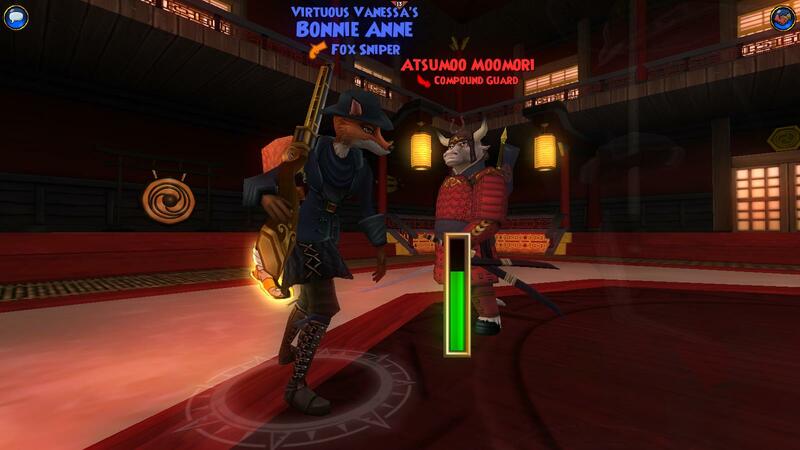 Last you heard from my brave pirate, Virtuous Vanessa, she was questing through the western skies of Cool Ranch. A lot has happened since then, so I want to catch you up! After I successfully defeated the Duck of Death, I was off to Port Regal to find Mustang Sally. It took some hard work, but I eventually found out that she was being held prisoner in Fort Elena. Catbeard offered to help mount a rescue if I also broke out Napoleguin from his cage. 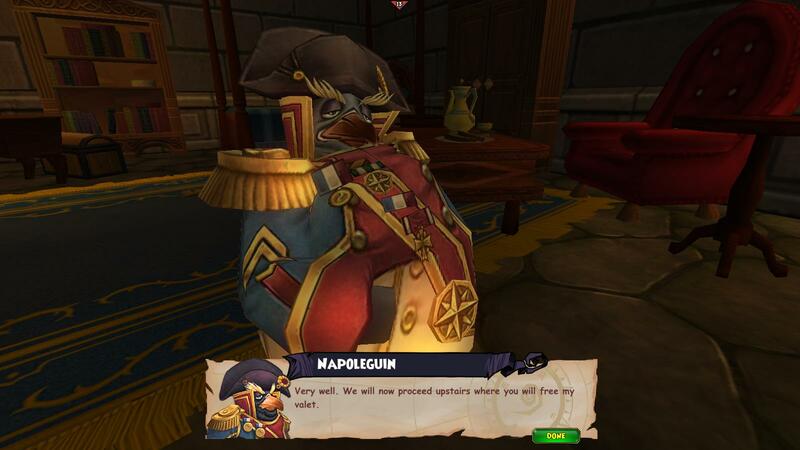 Freeing a military “genius” to aid the Monquista Revolution isn’t exactly what I had in mind, but a pirate’s gotta do what a pirate’s gotta do! Getting inside Fort Elena was no easy task. It’s heavily guarded, and the Armada were right on my tail. 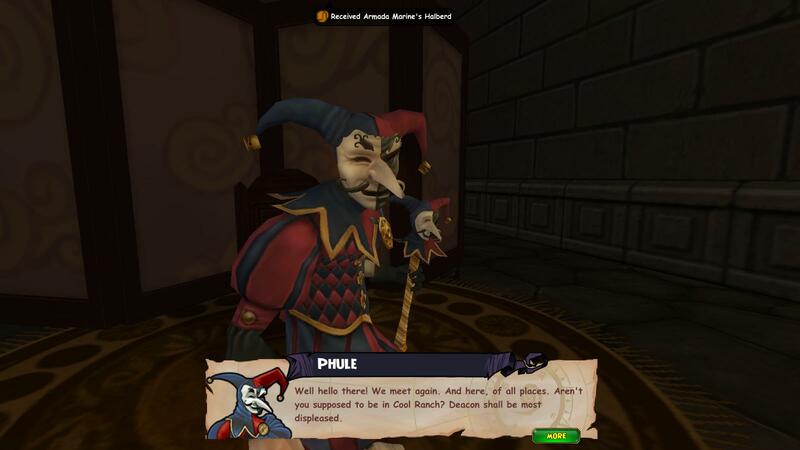 In fact, I even ran into Phule inside the prison. Apparently I’ve been quite the thorn in the Armada’s plans. Ha! Take that you clockworks! I better watch my back though …. This ain’t no joke, Phule! Contrary to what Catbeard shared about Napoleguin, he didn’t seem to be the sharpest tool in the shed. Risking my life to get his hat back and free his guards (who he mentioned would go on trial and be hanged) were just some of the extra steps he forced me and my team to take. But hey, at the end of it all we got Mustang Sally back! Time for a very heartfelt reunion I think. El Toro and Mustang Sally hit it off like they had never been separated. They decided to get married, but I had more work to do. 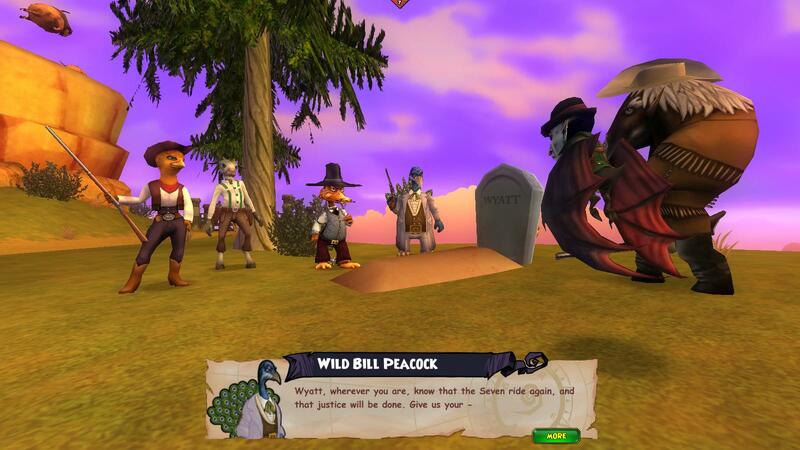 To get a lead on Captain Blood’s whereabouts, I traveled back to Cool Ranch to see Sly Winkum, a traitor within Blood’s crew. Sly knew where Blood’s hideout was, but I wouldn’t be able to get to it unless I fought off the Wild Bunch. The Wild Bunch were quite a powerful crew, so it was suggested that I get help. The Magnificent Seven. The Magnificent Seven were Tumbleweed’s greatest heroes. They fought for the common people, and brought law to the skies. Unfortunately, they all went their separate ways after awhile. Now it was up to me to reunite the heroic gang to help me defeat the Wild Bunch. One by one, I tracked them down and convinced them to return. Well, all except for Wyatt of course. Wyatt tragically passed away. Needing a seventh to complete “The Magnificent Seven,” the rest of the members offered the gig to me! Yeeeehaww! Before setting out to take care of the Wild Bunch once and for all, we paid our respects to Wyatt and told him justice would be done. With the help of The Magnificent Seven, justice was served at the old Jailhouse. Now that the Wild Bunch weren’t a threat anymore, it was time to enter the Haunted Skyway and finally locate Captain Blood’s lair. 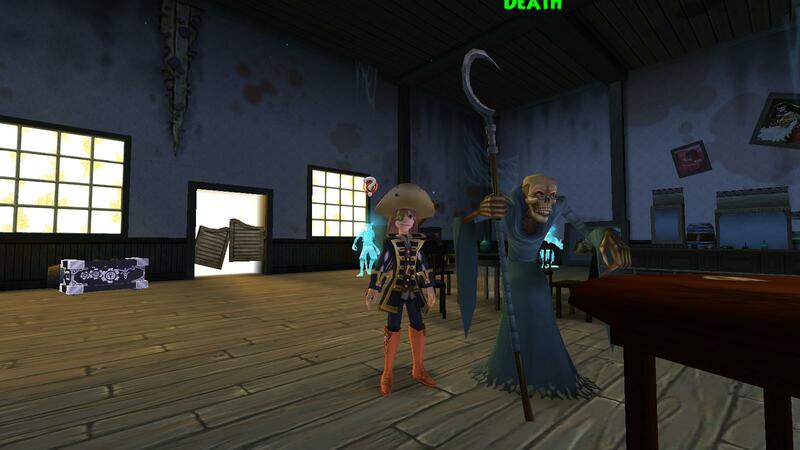 To get the key to Captain Blood’s lair, I needed to pry it from his undead fingers. But, considering he couldn’t be harmed, that was going to be quite the mission. After calling Death (yes, death), he explained how Captain Blood ended up in the limbo he did. It turns out that on his death bed, Captain Blood challenged Death to a friendly game of cards. The treacherous pirate then cheated by going to the bathroom and never returned. As a result, Death couldn’t collect Blood’s soul because he hadn’t won the card game, but the game couldn’t be finished until Captain Blood played his cards by his own hand. Ah …. his own hand. Nobody said the rest of his body had to be present. Luckily, El Toro cut off one of Blood’s hands in a duel a long time ago. After retrieving it, I traveled to the ghostly town of Miranda to recover the missing playing cards. Once I did, at last the cheater got what was coming to him. He really isn’t a bad guy once you get to know him. With Blood’s key in my possession, I raced to his lair to find … Deacon! Deacon was determined to bring me back in chains, but I ended up besting him. My reward was Captain Blood’s treasure – Marco Pollo’s old ship, the Santa Oro (“Holy Gold”). With it, I also found a photograph depicting a couple of pirates in El Dorado. One of them was my mother. According to Avery, each person in that photo has a piece of Marco Pollo’s map. Now I have to track them all down before the Armada does. Yakooza – Friend or Foe? While Avery went to discuss the map with Catbeard, I was sent to Mooshu to find Egg Foo Yung. He’s currently a prisoner of the Yakooza. The Yakooza claim to be criminals that help the common folk, but I’m not entirely convinced yet. Guess I’ll just have to see ….